The first of the J20 conspiracy trials resumed on Monday, November 27th. The prosecution continued its presentation of witnesses and evidence, including testimony from employees and managers of businesses in the downtown Washington, DC area that reported broken windows on Inauguration Day. Despite being in the second week of trial,there has still been no particularized evidence against any of these six defendants currently on trial. One may rightfully wonder how a trial could be in its second week of proceedings without direct testimony or evidence against these defendants being presented thus far, highlighting the prosecution’s relentless pursuit of these politically motivated charges. Much of the prosecution’s case thus far has relied heavily upon police testimony which has been largely incoherent and not in clear alignment with the state’s allegations of conspiracy and related charges. The testimony by the employees and managers seemed to be in line with the prosecution’s claims in their opening argument that there was a riot that caused substantial damage on J20. While some witnesses seemed disturbed by the events of the day, others seemed apathetic and some of the witnesses testified to the businesses remaining open throughout Inauguration Day or resuming normal operations within a day or a few days. Notably, none of their testimony was about the six defendants currently on trial. A sizable portion of the testimony in the first half of this week has come from cops from the Metropolitan Police Department. One cop testified about being part of a Civil Disturbance Unit, or CDU, that was deployed on J20. His unit was involved in kettling the group of protesters, medics, legal observers, and journalists at L St and 12th St. He testified that he “held the line” and “did not fall down” when a group of people trapped in the police kettle allegedly rushed one of the police lines surrounding the crowd. Footage from his body-worn camera shows him repeatedly pushing and bashing protesters with his baton while barking commands at them to stay back; among these people were legal observers and attorneys who can be seen on his body cam footage identifying themselves to police, who still refused to release them. He also testified that he saw other police officers deploy pepper spray that day, including from what can only be described as a pepper spray cannon. Yet he also testified that he basically does not know what pepperspray is. One may rightfully wonder how an officer with the MPD is unfamiliar with a standard-issue weapon at their disposal, raising questions about the quality of training received by MPD. The next cop to testify was one of the many that day wearing the standard-issue yellow MPD jackets that can mount body-worn cameras. His bumbling testimony included embarrassing statements about not knowing who the officials talking over the police radios were and not knowing how those radio communications related to the orders he received from his direct supervisors. He also testified extensively about how unpleasant pepper spray is and even admitted that he was hit with pepper spray from his fellow officers on inauguration day. Footage shown throughout the case has repeatedly shown officers indiscriminately spraying the crowd of protesters and using spray to move the group in certain directions. He said that he would love to be able to put on a gas mask and/or goggles whenever exposed to pepper spray. He also testified that he saw many items on the ground within the kettle, although he did not know who discarded them. He claimed these items included gas masks and respirators, goggles, weapons, and, oddly enough, smooth rocks like you would find in a river, not to be confused with city rocks, which although the officer admitted he is not a geologist, he felt comfortable claiming in court, with prodding from the prosecution. Since he testified that he could not identify anyone in the kettle, we speculate that the seemingly confused cop was busy day-dreaming about protesters attempting to balance these smooth rural river stones on top of each other to create pretty, serene statues strewn with flowers from river banks and meadows. Oh, wait, he was testifying about a police kettle in DC, in January, where more than 200 people were held for hours without proper medical care after police unleashed pepper spray and stinger grenades on the crowd. Strike that serene image. Speaking of striking things from the record, testimony from an undercover cop was stricken after he improperly, yet almost eagerly, characterized the march that left Logan Circle as a “black bloc.” The jury had to be cleared from the room and the judge questioned whether or not the prosecution had instructed him to use those terms or if they even bothered to tell him that that term was not to be used. The judge has ruled that this term can be presented in evidence, such as recordings or documents, but that witnesses cannot use it to characterize the events they are testifying about, yet the witness repeatedly ignored that instruction. Other terms under fierce debate in this trial so far include anarchist and antifa. After much arguing between the prosecutor and defense attorneys, the jury was instructed that antifa is short for antifascist or antifascism and is being used in this trial as a descriptive term, and that associations with the terms should not color the jury’s deliberation. James O’Keefe attends event along with Jared Taylor, a white nationalist who groomed Alt-Right leader, Richard Spencer. An undercover cop has so far testified that he infiltrated a protest planning meeting of around 300 people on January 8th. He testified that he did not record the meeting in any form or focus on anyone’s faces while there, but that he had been sent to the meeting to gather information on multiple protests set to occur on Jan the 20th. Fortunately for him, his recollection of that meeting was supported by a video surreptitiously recorded by another infiltrator, this one from Project Veritas. Yes, Project Veritas, the “ultraconservative” far-Right organization that claims to investigate corruption in the government and in the Left. The same Project Veritas that was just exposed for trying to do a “sting operation” against The Washington Post by having a member present a false story about sexual abuse by a congressperson. Court hearings in #J20 trial today have centered on a protest planning meeting. No current defendants are alleged to have been at the meeting yet it is part of the evidence @USAO_DC is using to paint them as 'conspirators' based on their attendance at Trump inauguration protests. 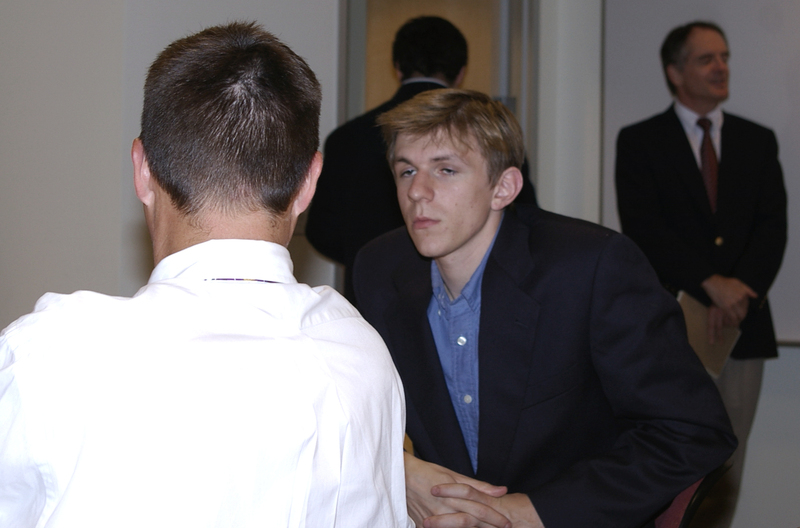 This disgusting organization led by James O’Keefe was the source of a key piece of evidence in the prosecution’s case so far. Kerkhoff, seemingly aware of this organizations biases, tried to argue the the source of the video was irrelevant, and that it should be kept from jurors. Has anyone heard the classic protest chant, “Cops and Klan go hand in hand”? In DC, it seems like the prosecutors and ultraconservataive, racist organizations also go hand in hand; perhaps unsurprising given MPD’s track record and white supremacist ties to Trump. The undercover will take the stand once again on Wednesday for more cross examination. The case the prosecutor is presenting against these six defendants so far is both incredibly weak and clearly politically motivated. How much more overt can it be than building your case on so-called evidence from ultraconservative racists? The same racists who stoop so low as to fake allegations of sexual abuse, just to capitalize on a moment when survivors of sexual harassment and assault are outing abusers in the government and virtually every industry imaginable? Yet these six comrades are still facing the threat of up to 60 years in prison if convicted on all counts. They are still in danger-a danger that the state has manufactured from the moment the march first left Logan Circle.